Female Pheasant Pad. 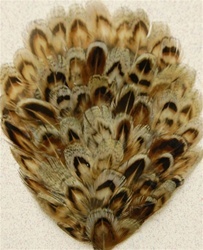 A nice pad made from the Female Pheasant. A light shade of Brown with Black markings in it. Very good gor Millinery, Headbands, Crafts and various other accessories. Sold by the DOZEN only.